ハロウィン spirt. . HD Wallpaper and background images in the オリンポスの神々と7人の英雄 club. This オリンポスの神々と7人の英雄 photo might contain アニメ, 漫画, マンガ, and コミック. Son of Sobek - Percy Jackson and the クロコダイル, ワニ scene. Hahahaha!! I don't really like DC Superheros but this pcoture Made my day! 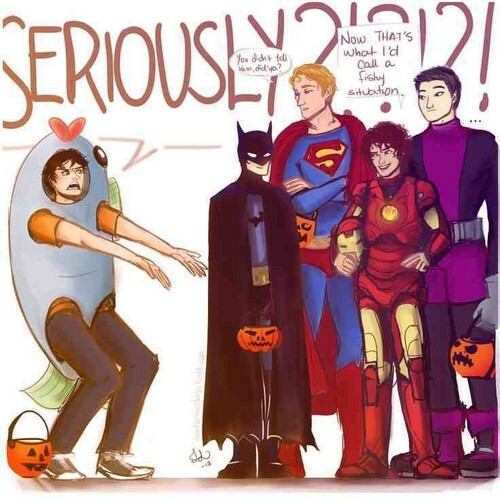 That's nico in the batman costume right?